If patriotism is the last refuge of scoundrels, "policy" is the last way station before you get there. And "policy" is why ditwad administrators at a ditwad school district in Carrollton, Ohio, won't let a high-school senior "walk" with his classmates at graduation this year. You see, Austin Fisher has 16 unexcused absences this year -- the limit is 14 if you want to go to prom or participate in the graduation ceremony at Carrollton High School. And it doesn't matter why you're inexcusably absent. For example, missing school to care for your cancer-stricken mother. Your terminally ill cancer-stricken mother. When you're all she's got. “He’s been my hero, my rock,” says Fisher’s mother, Teresa, as tears stream down her face. Teresa has been battling breast cancer for six years. Last year doctors told her it was stage four–terminal. 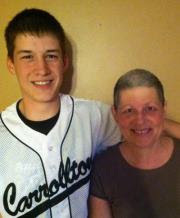 Through months of chemo and radiation, she leaned on Austin. But being his mom’s lifeline meant sacrificing school. “I missed a lot of school for that. Running her to cancer treatments, staying home when she was in bed–it’s just me and her at the house,” Austin explains. The varsity baseball player, who worked two jobs when his mom was too sick to work at all, racked up 16 unexcused absences. That is two more than the Carrollton school policy will allow for a student to attend prom or walk at graduation. But Austin says a meeting with his principal proved otherwise. “They can’t change it. They said guidelines are guidelines. It won’t be changed. I can’t walk,” Austin explains. A COUPLE of millennia ago, longstanding policy dictated that a woman caught in adultery be stoned to death. Jesus Christ thought better of that, stopped "policy" in its tracks and told the woman to "go and sin no more." Of course, we know where stuff like that got Him. Policy dictated it. Just like policy in the Carrollton school district is coming down like a ton of bricks on a teenage kid who knows WWJD . . . and then does it. Some things never change in this life. 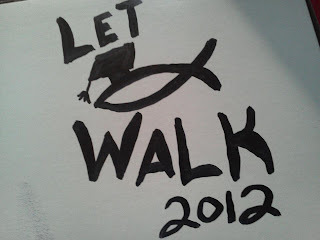 I have a new strategy for the seniors of Carrollton High School -- "If Fish doesn't walk, none of us do." Sometimes, life requires that you put your mortarboard and tassel where your mouth is. And, in the process, bring down the full weight of an entire town of enraged parents, grandparents, aunts and uncles down upon the temple of the holier than thou. UPDATE: You can't make twits smart or scoundrels virtuous -- at least not in a day -- but you can turn the heat up so much on your average bureaucracy that it cries "UNCLE!" as a matter of self-preservation. Austin said that although his story exploded in the last three days, he has known since January that he wouldn’t be permitted to walk at the ceremony. Petitions were circulated in January, but were confiscated, Austin said. On Monday, as the story went viral, classmates wore “Let Fish Walk” T-shirts to school. That afternoon, Austin and Teri met with Fogler and the two building principals, Davis and Jason Eddy, along with an attorney for the district. Teri agreed to not talk with the media as part of the agreement. According to Austin, the group discussed the negative publicity the school has received. “I never intended that,” he said emphatically. 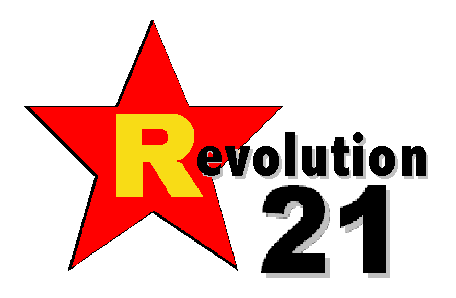 He said the administrators argued the number of absences for the first semester to be 17 days, not 16. In the end, the decision was reversed. WHEN YOU genuinely scare chickenshits, they rarely go quietly (or penitently) into that good night, but they do go. That's because while they generally don't much care about doing good, they do dread looking bad. Still shameful that it took a tsunami of bad publicity to get them to come around. And the mom had to agree not to talk: "Teri agreed to not talk with the media as part of the agreement." That being the agreement they came to in a meeting that included an attorney for the school district. Can't just do the right thing without legal counsel to pave the way for you, I guess. Spit. But three cheers for the classmates and locals who stood up to the idiocy. I'm with you; if this agreement hadn't been reached, I'd say everyone should refuse to walk. That's what I'd want my kid (who is also graduating this year) to do.